We’ve been focused on nurturing the creative side or, for another way of putting it, indulging the INTJ intuition with a bit of the fantastic—all of which just means that it’s time for our 2017 May Reading List: Fantasy/Sci-Fi. This month’s genre is fantasy and sci-fi, with many of the stories being a mix of both. This is the book I’m currently reading. My brother, also an INTJ and avid reader, loves this book. It was because he kept mentioning it, that I finally decided that I had to check it out. At the point of this post, I’m 15 chapters in and can say, it’s definitely a book that not only appeals to the INTJ mindset, but it’s also enjoyable. Bob Johansson is rich, having just sold his software company. He is looking forward to a life of leisure. There are places to go, books to read, and movies to watch. So it’s a little unfair when he gets himself killed crossing the street. 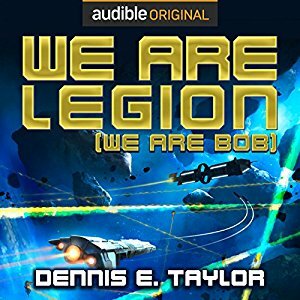 Bob wakes up a century later to find that a contract he signed for the preservation of his life has had the result of turning him into what the modern society calls “corpsicles.” Moreover, corpsicles have been declared to be without rights, which means that Bob is now the property of the state. His intellect has been uploaded into computer hardware, and is slated to be the controlling AI in an interstellar probe looking for habitable planets. The stakes are high: no less than the first claim to entire worlds. If he declines the honor, he’ll be switched off, and they’ll try again with someone else. If he accepts, he becomes a prime target. There are at least three other countries trying to get their own probes launched first, and they play dirty. Listen to a 5-minute preview here. May the 4th be with you was just last week, so it seems appropriate to include a book from the Star Wars expanded universe in this list. 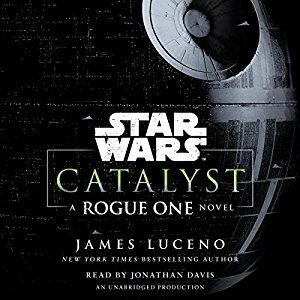 To be honest, I haven’t enjoyed many of the new books, if comparing them to now non-cannon Legends, but Catalyst was surprisingly interesting despite focusing on relatively unknown character, like Jyn Orso’s parents. It was a fun read with lots of fictional science. The must-have prequel novel to Rogue One: A Star Wars Story – the upcoming film, set before the events of Star Wars: A New Hope, that reveals the untold story of the rebel effort to steal the plans to the Death Star! This story offers an ultra modern interpretation of fairytales and fairytale life, unlike any I’d read before. The characters are intelligent and fresh. The plotting is complex. Overall, it’s perfect for those who love fairytales, only smarter and more urban. “Never underestimate the power of a good story.” That’s good advice…especially when a story can kill you. For most people, the story of their lives is just that: the accumulation of time, encounters, and actions into a cohesive whole. But for an unfortunate few, that day-to-day existence is affected – perhaps infected is a better word – by memetic incursion: where fairy tale narratives become reality, often with disastrous results. 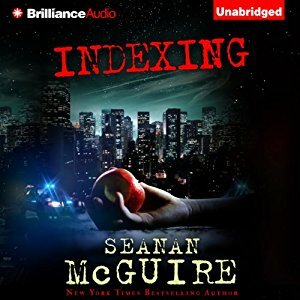 Indexing is New York Times best-selling author Seanan McGuire’s new urban fantasy where everything you thought you knew about fairy tales gets turned on its head. This is one of my favorite books. It covers some complicated issues in a very balanced and thoughtful way, and on top of that, it makes it fun and entertaining. I love the characters in this story, the world is imaginative, and based on our own, but with slight differences. Another one of my favorite books and series, it’s hard to describe this one. There is magic, there is sci-fi, there is romance, there is adventure, there is fighting. It’s got everything and it’s totally unexpected and fun. As someone who didn’t know it was going to be sci-fi I was shocked and delighted when magic collided with space. Highly recommend. And now, something with wicked claws and deepwater teeth has begun to hunt at night….Feeling responsible for her neighbors, Dina decides to get involved. 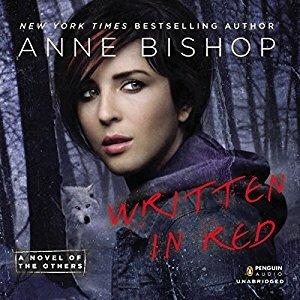 Before long, she has to juggle dealing with the annoyingly attractive, ex-military, new neighbor, Sean Evans – an alpha-strain werewolf – and the equally arresting cosmic vampire soldier, Arland, while trying to keep her inn and its guests safe. But the enemy she’s facing is unlike anything she’s ever encountered before. It’s smart, vicious, and lethal, and putting herself between this creature and her neighbors might just cost her everything. To explain, this book was written first, but people were so intrigued by an event mentioned in the story that they requested the author write a prequel making this now book 2, however, I find it’s a little more interesting to read this one first then go back to the first book. Anyway, an unlikely story about an ex-military space guy finding a fairy. It sounds wacky, but, it was an enjoyable read, and is certainly memorable. Major Vince Lombard, Galactic Marine Corps (Ret.) is a professional gambler, slowly working his way back to Earth, one gambling station at a time, when he finds himself at the center of brewing storm. Someone has taken an interest in an old Earth legend, but for what purpose, no one seems to know, exactly. The fate of the Fey has always been tied to the fate of humanity, but they have been content to stay in the background for ages, without worry that humankind is destined to continue on into the foreseeable future. Humanity has forgotten their very existence, as well as their role in the destiny of both races. But now, after the better part of two millennia, one of the Fey pops up again, and in the most unlikely place: Many millions of miles away from Old Earth, on a space station that serves as a gambling casino. A decorated war hero, Vince finds himself at the center of a brewing storm, as humans and aliens alike begin to see the potential uses a fairy can be put to. It’s not just that everybody wants one. Everybody wants this one, and it won’t be easy to find a path through the problems ahead, keeping his new Fey friend out of the hands of the government, and the aliens, alike. But an old veteran like Vince has a few tricks up his sleeve, still. Could that be why the fairy came to him? Fairies are capable of things that humans have no explanation for. But they can’t do everything, and sometimes, even a fairy needs a hand. Who better than a Galactic Marine to help, when some good old human ingenuity is called for? Maybe Vince has found a friend for life in his Fey companion. If he can save her life, that is. 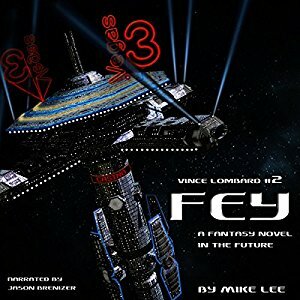 Fey is a sometimes-whimsical, fun, and light fantasy/sci-fi adventure story. Listen to a 3-minite preview here.